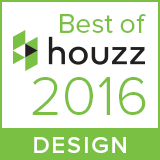 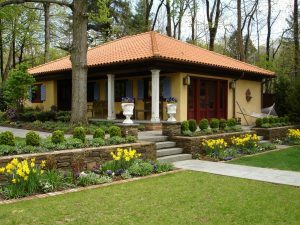 Carriage House Conversion - Deborah Cerbone Associates, Inc. 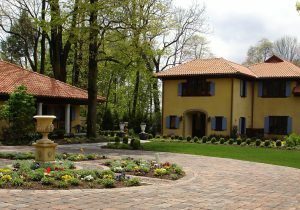 This Mission style home was a former carriage house for a neighboring estate. 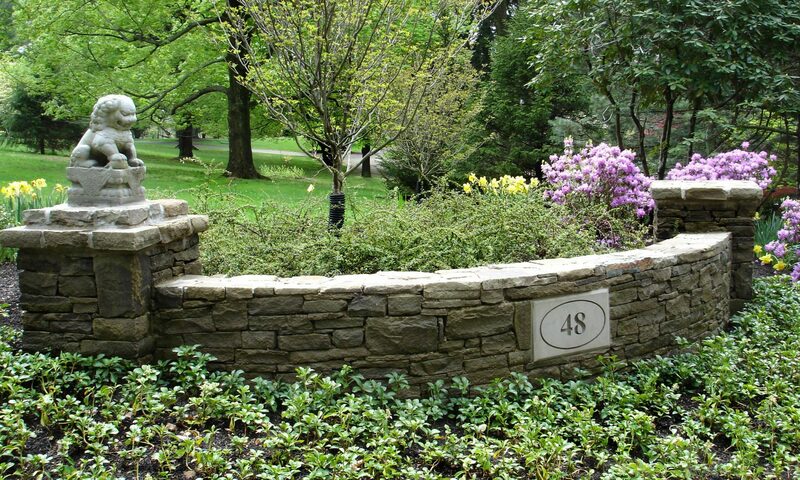 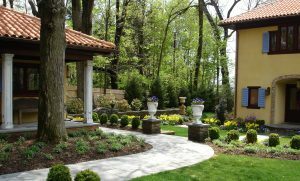 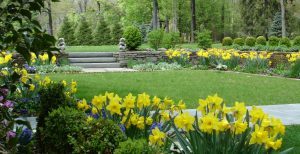 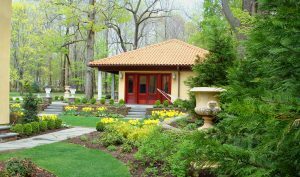 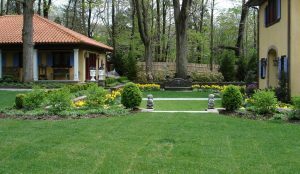 A complete gut and landscape renovation transformed the property into a sophisticated setting for garden parties and outdoor entertaining. 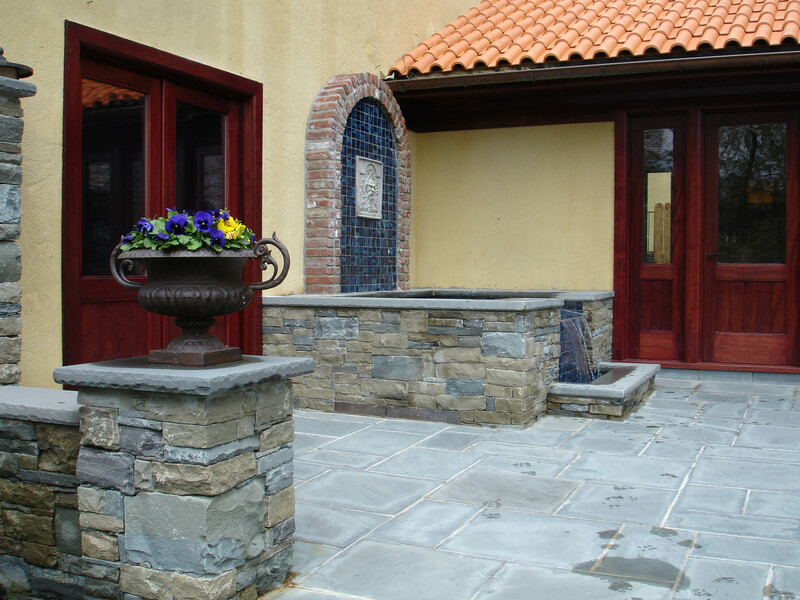 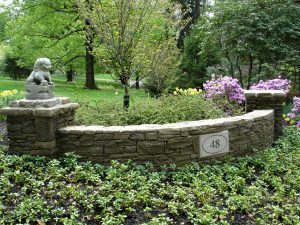 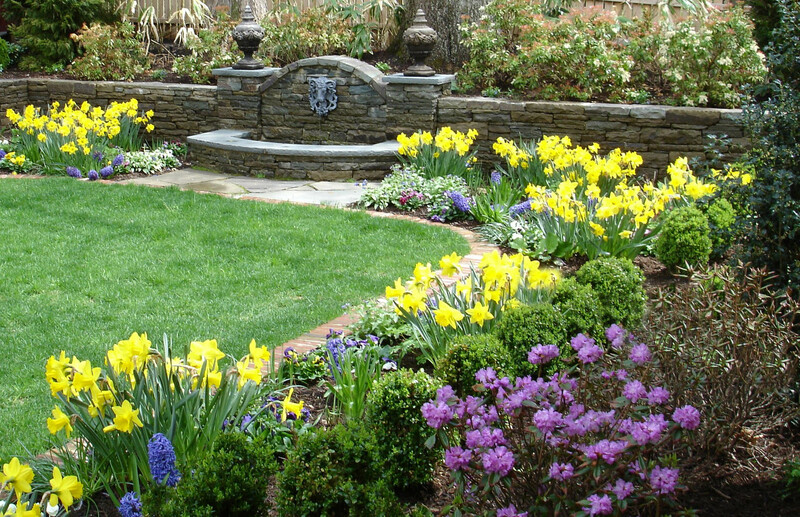 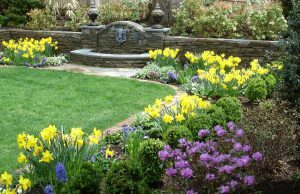 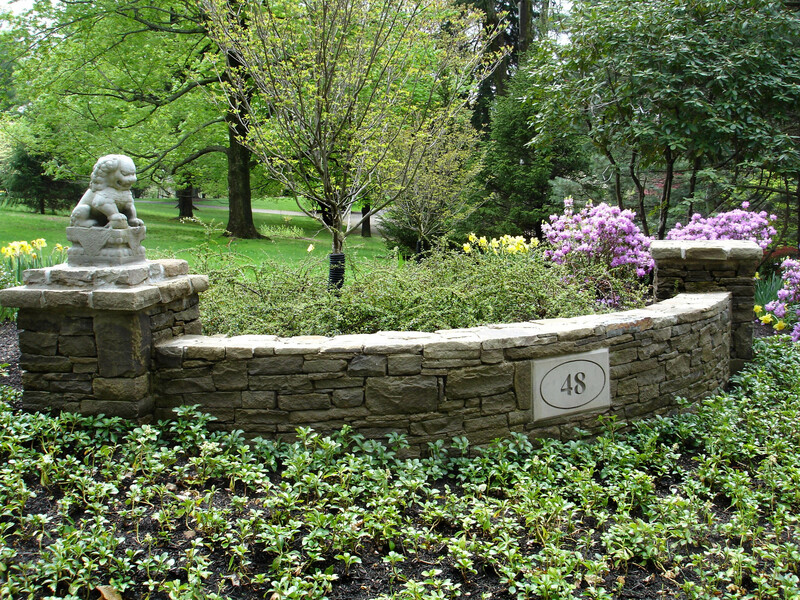 The old asphalt courtyard was excavated and lined with stone walls to create a formal garden between the home and the detached garage which was converted into a family room and gym. 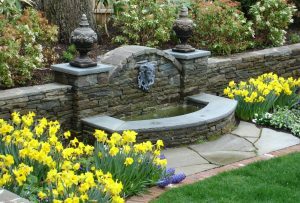 A pair of Chinese foo dogs guard the stairs to the lawn area beyond, and a ram’s head wall fountain provides delightful sound and movement within the sunken garden. 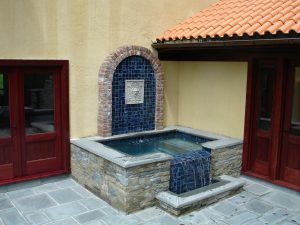 A custom spa featuring a tiled wall fountain and vanishing edge spillway provides a focal point for the new patio off the kitchen and family room. 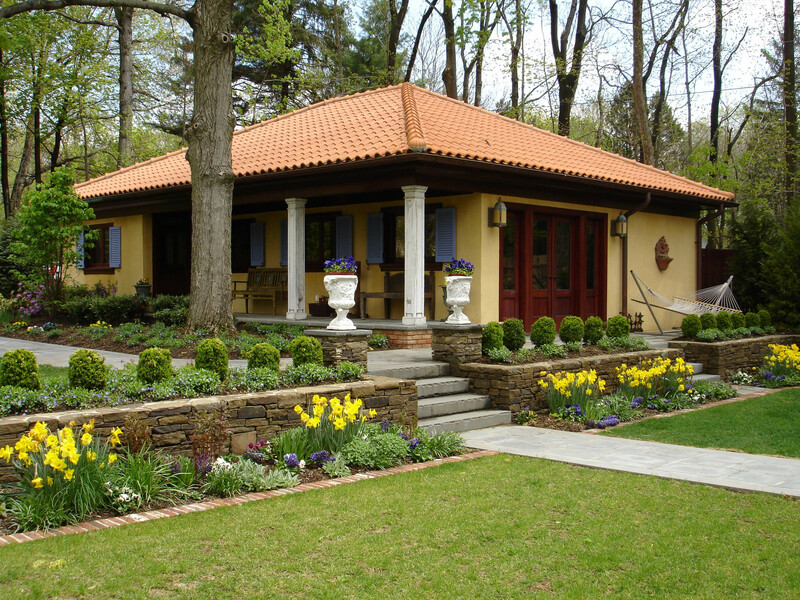 Inside and out the design details combined new with repurposed salvage, Asian with French, and formal with rustic to create a unique, eclectic style.